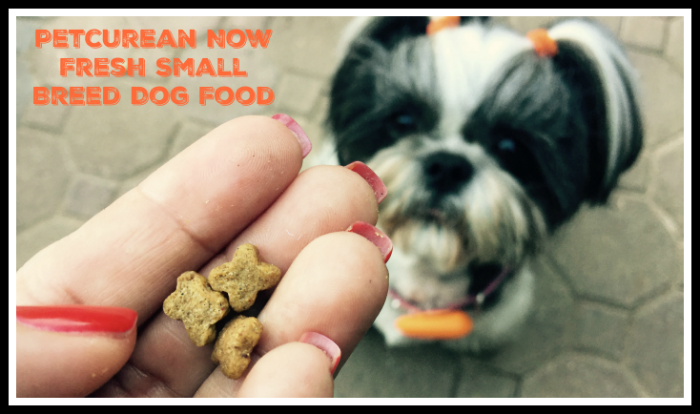 Having small breed dogs, I feel that it should be easy for them to eat their food. I mean don’t you hate it when you pour out a bag of dog food and the kibble is huge? Seriously? How do companies expect little dogs to eat the food with ease? 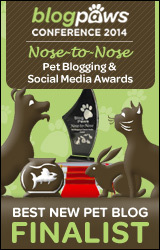 Well, the folks at Petcurean thought about that and understand that small mouths need small kibble. I have to just say don’t you just love the size of this kibble? It is the perfect size for a small dog! I’ve always been convinced that dogs love cat food because of the size, and now they can love their dog food even more with the great taste from Petcurean along with a convenient size for small mouths!! Currently we are feeding the Small Breed Senior Recipe and the girls eating it LOVE it! I also find it a great addition to Riley’s training snacks! So besides the perfect size for small mouths there are a few other great things about the Small Breed Senior Recipe that we love. No rendered meats, by-product meals, gluten, wheat, corn or soy!!! Petcurean uses the highest quality, healthy, least processed and the most flavorful ingredients available such as de-boned turkey, apples, carrots, pumpkin, sweet potatoes, squash, bananas, blueberries, pomegranates plus so much more. Low fat. With my senior dogs I am always concerned with high fat dog foods, since I tend to have dogs that can get pancreatitis with age. At a Crude fat (min) of 11%, I have been safe at not having recurring bouts of pancreatitis while feeding the Now Fresh Senior! 100% fresh Omega 3 & 6 oils from coconuts and canola! Now I think this is a great food for your dog, but don’t take my word for it, why don’t you try out a bag for your self! 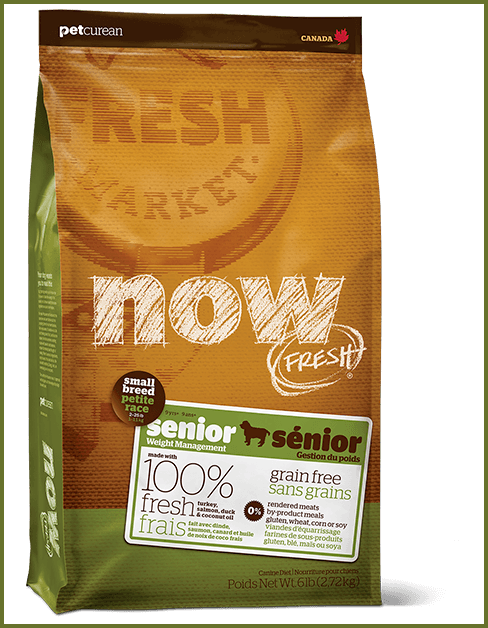 Just go to this link: FREE 1/2 POUND TRIAL BAG of NOW FRESH™ or GO!™ fill out the form and submit for a coupon for a free trial bag at your local specialty retailer. It’s a good thing that there is a special dog food for small dogs. Some of those breeds are really picky with their foods, specially if they are already growing for years. If you are a pet owner who is having some hard time with your dog food, check this one for your adorable pet.